The conference will equip participants to frame useful questions that allow them to deeply listen, moving beyond “us vs. them” and hearing the personal fears, desires and experiences of others. A thoughtful speaker, case studies, and practical techniques will be part of the program. 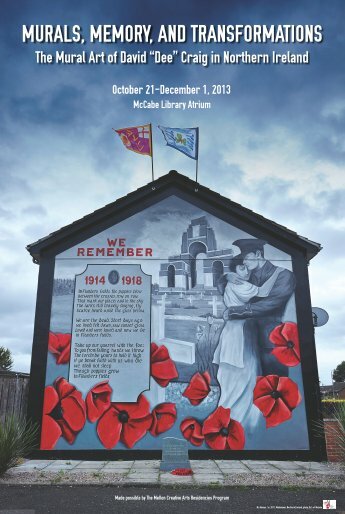 The program includes a Thursday evening dinner and speaker, followed by Friday workshops. There will be a break for Jummah (Muslim prayers) and an optional Shabbat service at the end of the day on Friday. Staff and faculty are welcome to attend parts or all of the program. There is no cost. This is supported by InterFaith Youth Core, the organization that brought Eboo Patel to our campus in November. During the planning process, the committee was intentional about choosing a start that would make it convenient for Swat students, faculty and staff to attend (see schedule below) . Tri-Co shuttle from Swat schedule. 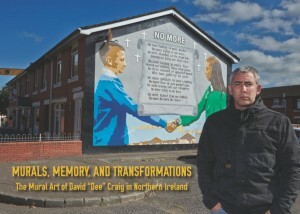 Many will remember the Mellon Creative Residency that brought Northern Ireland mural artist, Dee Craig, to the Tri-Colleges in the fall of 2014. 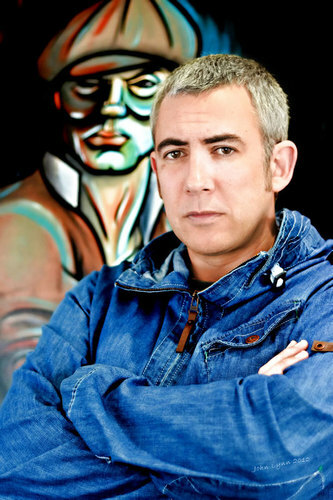 Craig installed a collage in Kohlberg Hall and a large mural on the side of the Science Center, hosted an exhibit on mural arts in McCabe Library and guest lectured in classes across the Tri-Colleges. Craig partnered with Paul Downie of the Community Arts Center and the City of Philadelphia Mural Arts Program to learn about the “parachute cloth” technique that is often used in Philadelphia’s mural scene. 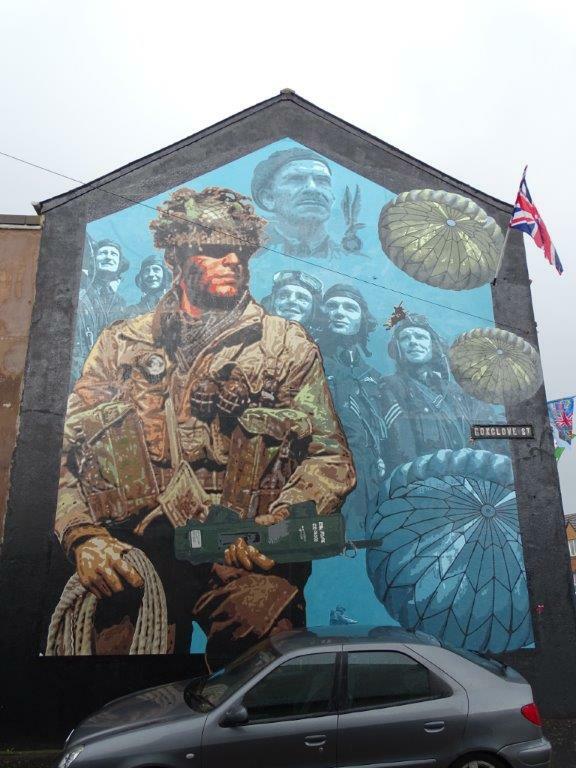 Since he returned to Belfast, Dee has installed four murals using the parachute cloth technique, the first of their kind in Europe. 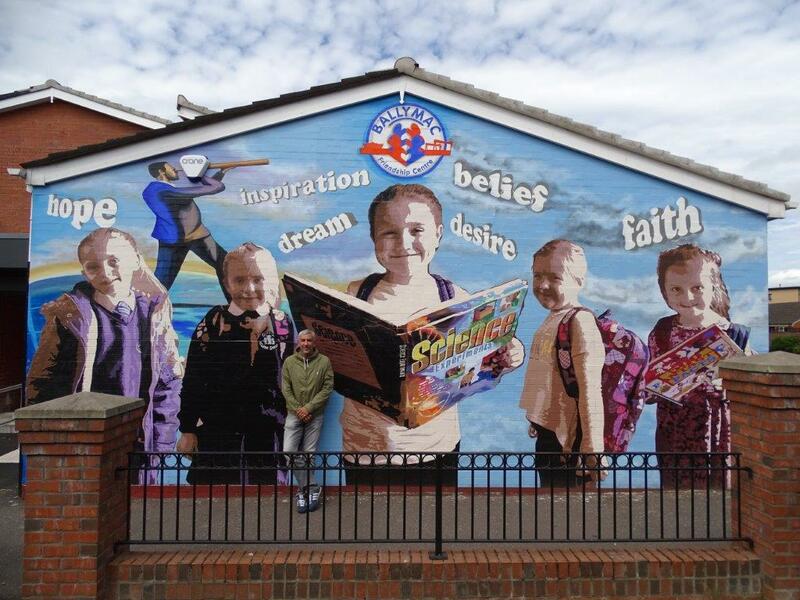 Funding from the Office of the First Minister and Deputy First Minister of Northern Ireland made the projects possible, and three of the new murals focus on education. 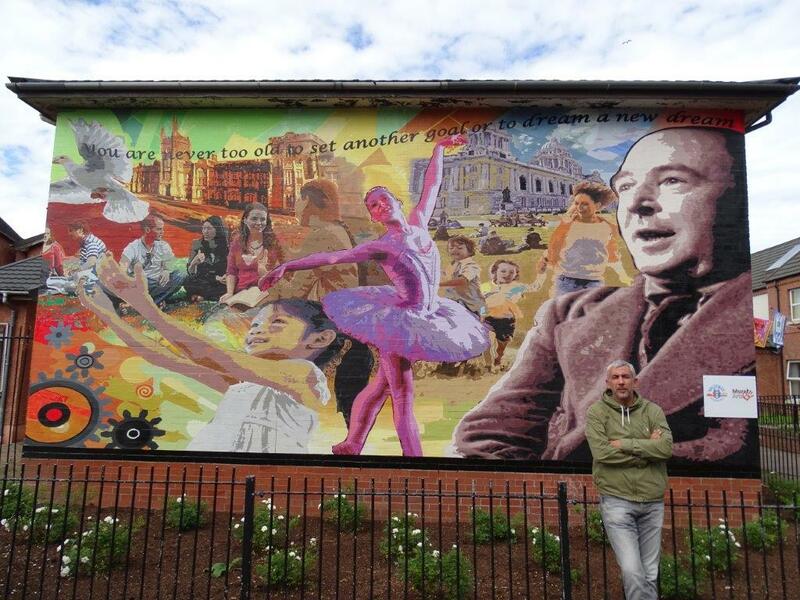 Prof. Lee Smithey had the opportunity to catch up with Dee Craig this summer in Belfast and visited each of the new murals. Youth from nearby Ballymac Friendship Centre designed the first at the bottom of the Newtownards Road in East Belfast. Girls feature prominently along with themes of racial and ethnic diversity, education, and dance. Robyn Buseman and Willis “Nomo” Humphrey from the City of Philadelphia Mural Arts Project flew to Northern Ireland to assist in the installation. 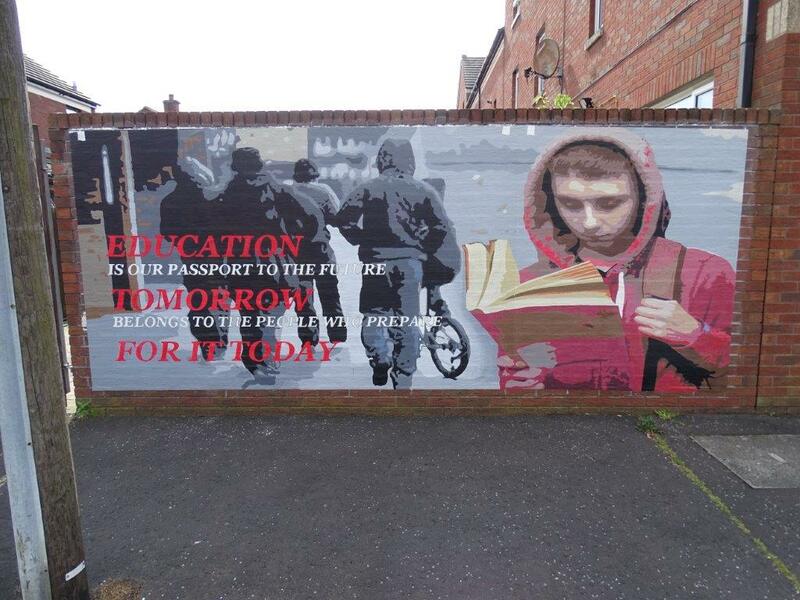 A new mural in the Donegal Pass area of South Belfast encourages reading and the emphasizes the importance of education for local youth. 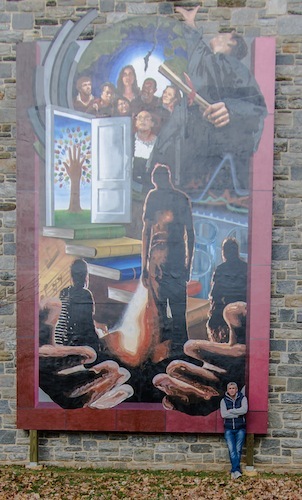 Another mural celebrating education adorns a wall of the newly renovated Ballymac Friendship Centre. 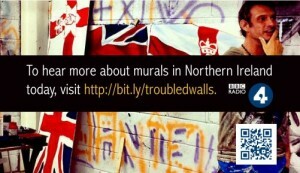 Northern Irish and Polish youth cooperated to create a mural in Foxglove Street in East Belfast. Major-General Stanislaw F. Sosabowski led Polish Airborne Forces, who fought at the Battle of Arnhem in WWII. Sosabowski and his forces came to the rescue of the British 1st Airborne Division that had become surrounded by German troops. 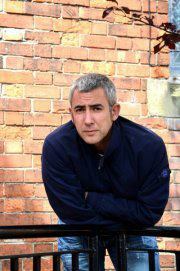 Congratulations to Dee and all of his partners as they build on the Tri-Colleges Creative Residency. Welcome back to all faculty, staff, and students. I hope your semester is off to a great start. 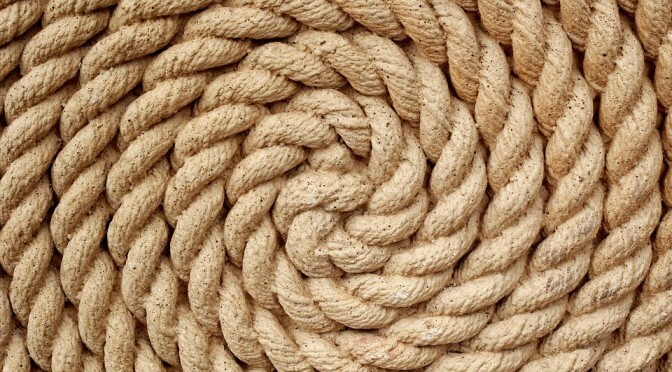 We are in the middle of the drop-add period, and I want to take the opportunity to let you know that there are Peace and Conflict Studies opportunities beyond Swarthmore at our sister colleges, Bryn Mawr and Haverford. Courses that count toward a Concentration in Peace, Conflict, and Social Justice Studies at Bryn Mawr College or a Concentration in Peace, Justice, and Human Rights at Haverford College may also be applied to a minor in Peace and Conflict Studies at Swarthmore. 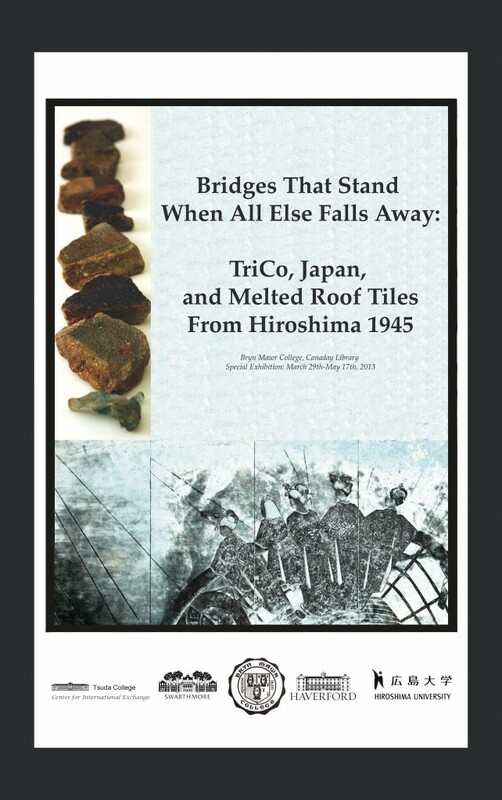 You can read more about the Tri-College consortium’s respective programs at http://bit.ly/tricopeace-info You will also find contact information for each program in that document. 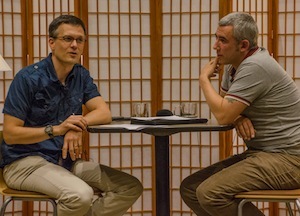 Peace studies offerings at Haverford and Bryn Mawr can allow you to study topics not offered at Swarthmore or give you options when you encounter scheduling conflicts between Swarthmore courses. Take advantage of the Tri-co consortium, and feel free to contact the coordinators at any of the colleges!